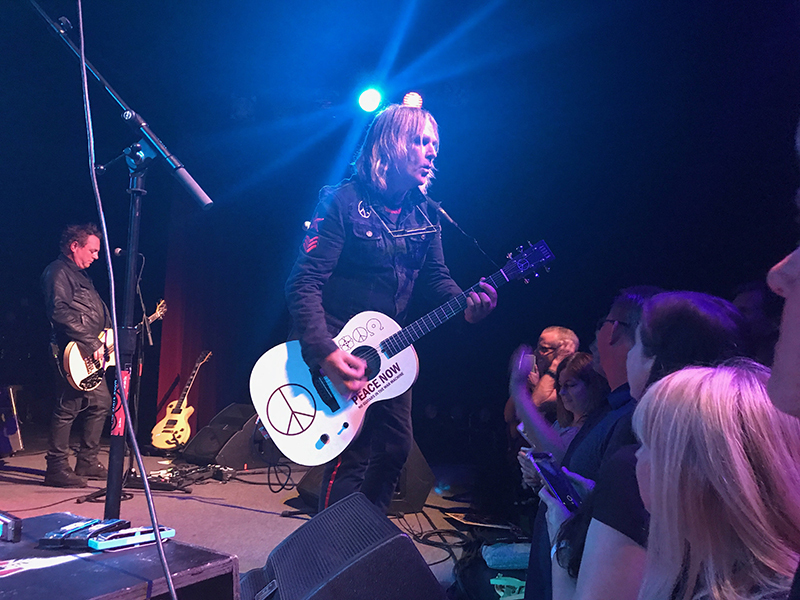 Once upon a time, longer ago than I’d like to remember, I saw The Alarm’s Mike Peters take to the stage armed only with an acoustic guitar. He was the opening act of a ridiculously opulent bill that also included Gene Loves Jezebel and The Mission. 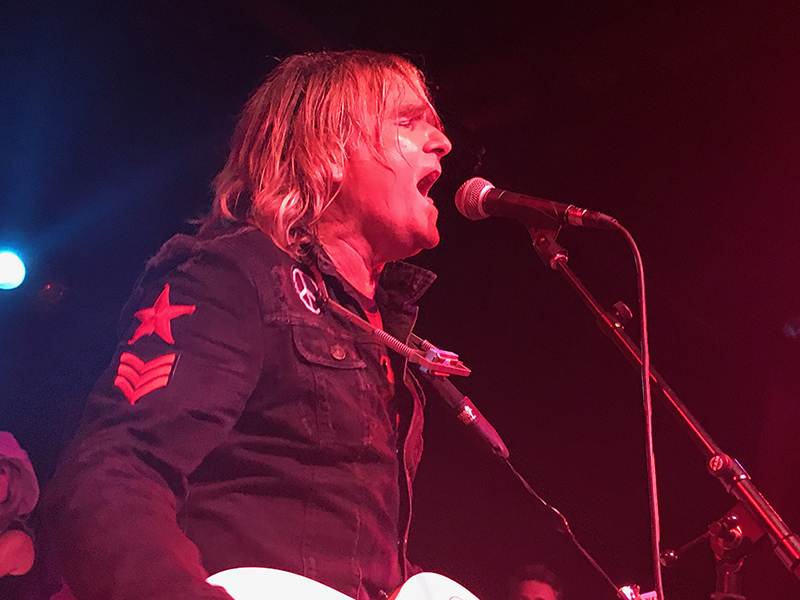 I had always liked The Alarm, partially because their 1989 album, Change, was released during a period of musical discovery where I devoured whatever KJQ was playing, but they hadn’t exactly stuck with me in the way that The Mission and Jay Aston‘s Jezebels had. Still, I remember being completely floored by his performance that night. You see, if you haven’t seen Peters live, you’ve never really experienced his songs in the way that they were intended. It took only two songs, “Marching In” and “Where Were You Hiding When the Storm Broke?,” both culled from The Alarm’s debut album, Declaration, to stir up this memory. How exactly had I managed to not see Peters in any incarnation in the nearly 20 years that had passed since that initial show? Peters, backed by Gene Loves Jezebel’s James Stevenson on bass and guitar and Steve “Smiley” Barnard on drums, stormed through a 16-song set dominated by the group’s early material. There were many stories to be told throughout the night, the sort of reminiscences that highlight how uniquely bizarre the British music industry was in the 1980s as punk gave way to a myriad of styles that outgrew the indie charts and found themselves invading the mainstream. We even get a brief (and fairly accurate) Ian McCulloch impersonation. 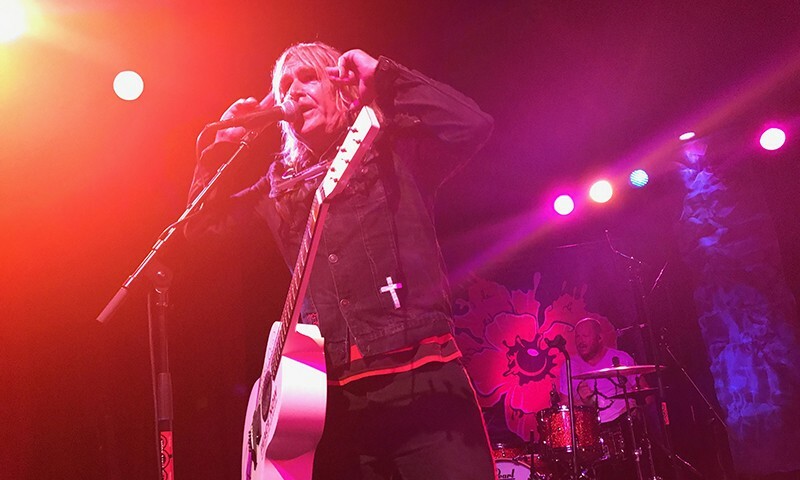 Not that the entire evening would be pure nostalgia, as the set’s third song is “Coming Backwards,” a new song from the soundtrack to Man in the Camo Jacket, a film focused on the history of The Alarm that was released earlier this year. The studio track is decent—live, the song is euphoric. “Absolute Reality,” a non-album track that was a sizable hit for the group (a re-recorded version would later appear on Strength, but it pales in comparison to the original recording), is dusted off for an impassioned performance. Throughout the show, Peters moved between three microphones that had been set up at the middle and sides of the stage. An unusual setup, but it gave Peters the freedom to roam as he pleased. In fact, it worked so well that I’m shocked I’ve never seen it done before. At this point, Peters strays from the setlist, inserting “Breathe,” the title track from Peters’ solo debut from 1994. It’s not a song that I’m familiar with, but one that I certainly plan to add to my collection. Here, Peters seemed to be building up to “One Step Closer to Home,” but I’ll be damned if he ever actually played it. 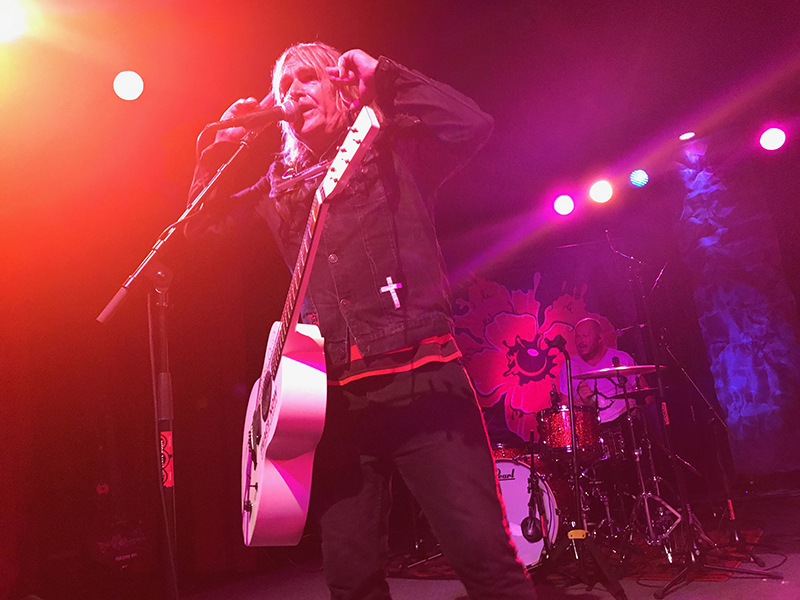 Instead, he returned to the setlist for “Love and Understanding,” a new track that (after doing some research) appears on Blood Red, a collection of new material that is only available from The Alarm directly. This was followed by a rather bizarre version of “Rain in the Summertime.” Something went wrong with Peters’ effect pedal which forced him to, after strumming his way through the first verses, transition into a semi-acoustic version. Had I been further back, rather than camped out at Peters’ feet, I might have missed the frustration that played out before me and simply assumed it was a different arrangement. The audience, which had been perfectly willing to sing along from the opening chords, were particularly boisterous here. 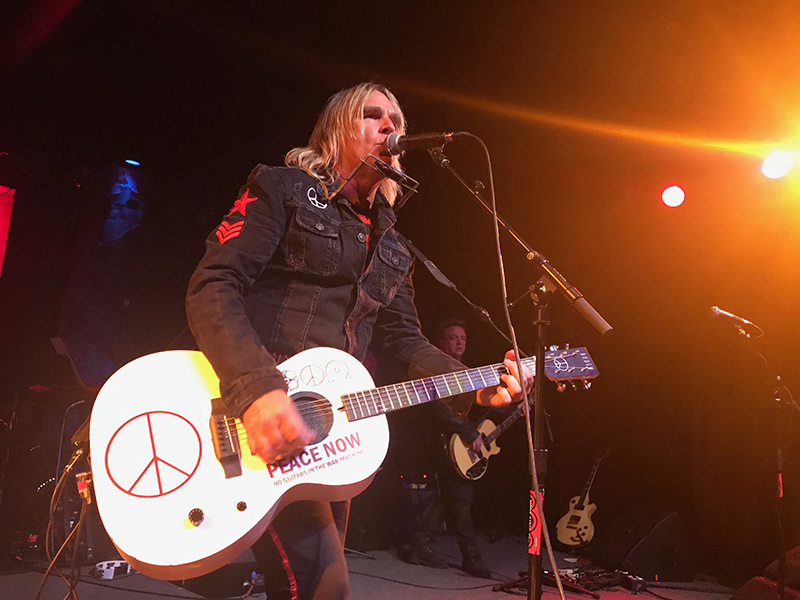 When the song ended, Peters apologized for the technical issues and suggested that they might just have to revisit the song later in the set. Following an acoustic take on “Walk Forever By My Side” from 1991’s Raw, the final studio release from the original lineup, the show accelerated as the remainder of the set was one classic track after another—”Sixty Eight Guns,” “The Stand,” “Rescue Me,” “Blaze of Glory,” “45 RPM” (a rather infamous and infectious track with a fantastic history), “Spirit of ’76″—before exiting the stage. A brief break was followed by “Strength,” the promised return of “Rain in the Summertime” and an energetic closer in “Two Rivers” that found Stevenson windmilling. Somewhere, Pete Townshend was flush with envy. We’ve been blessed with a wealth of concerts over the past couple of years from various bands with roots in the alternative 1980s scene. This, without doubt, is among the best concert experiences that I’ve had in recent memory. Peters is simply one of the most personable and passionate performers that I’ve ever had the pleasure of seeing in concert. My only complaint is that the show couldn’t continue for an hour or day or week longer. Peters promised to return in 2018. A word to the local promoters: They’re going to need a bigger room. The night was kicked off by local dreampop group New Shack. It is the second time I’ve see the duo, who this time around are augmented by a live drummer, bassist and backing vocalist. It’s a pleasant performance, but the vocals get buried for those of us up against the stage. This is due to the fact that the vocals don’t appear to be coming through the monitors (both singers wore headphones to hear themselves). Sometimes the front row is a great view, but not necessarily the best location to listen to the performance. Still, that complaint aside, I’m still intrigued by the group and look forward to crossing paths with them again.